Fixed PID monitor for volatile organic compounds. Continuous detection of volatile organic compounds (VOCs) with multiple range from just one instrument. 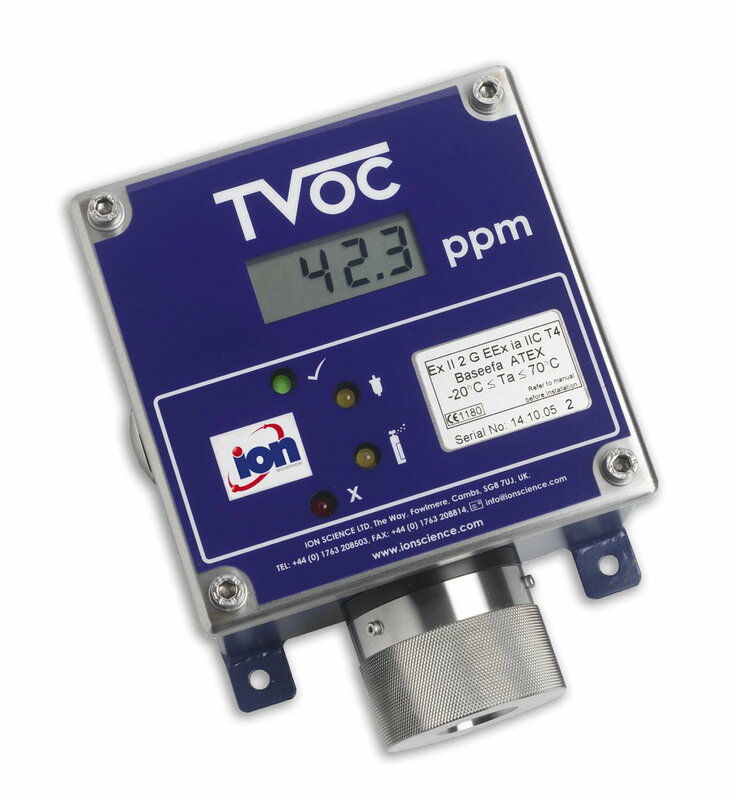 TVOC is a fixed photoionisation detector (PID) for the continuous measurement of total volatile organic compounds (VOCs). TVOC accurately measures over three different detection ranges from just one instrument. TVOC has a variable duty cycle set to 1 minute as standard. The user can adjust this to between 5 seconds and 5 minutes. TVOC utilises a diffusive sample technique resulting in less contamination issues compared to pumped systems, reducing lamp cleaning and servicing requirements. The 4-20 mA analogue output enables TVOC to be integrated into a DCS control system to give warning or control of high VOC levels in the working environment. ATEX approvals enable a 3 wire TVOC system to be used in Zone 2 hazardous areas, without safety barriers. ATEX and IECEx approvals allow TVOC to be used in Zone 1 hazardous areas, with safety barriers. Simple to install, service and calibrate, TVOC requires no hot work permit and the PID sensor is accessible and changeable in a matter of seconds.